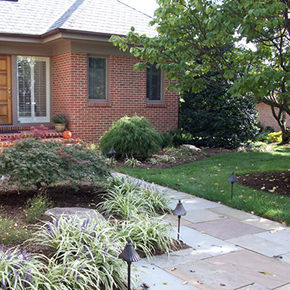 Whether you are looking to maintain the landscape design that we created for you or have an older landscape in need of some tender loving care, Carroll Landscaping has the experience and talent needed to maintain your landscaping. Our skilled design staff and landscape team will create a landscape maintenance routine that is appropriate for your needs, your budget, and your existing maintenance schedule. Do you enjoy maintaining your landscaping throughout the year but struggle with big seasonal clean-ups? Our landscape maintenance workers can take care of your quarterly maintenance as the seasons change. We have an in-depth knowledge of the needs of many plants, trees, flowers, and types of hardscaping and put the health and vitality of your landscaping at the top of our priority list. Carroll Landscaping can take care of your seasonal or annual mulching, weeding, and edging to keep your landscaping in top health. 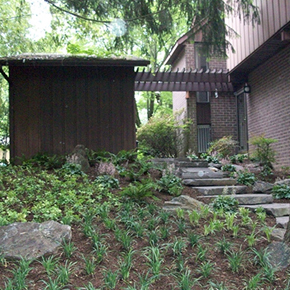 Beyond mulching, weeding, and edging, we also offer pruning for all of the plants in your yard. We are familiar with the specific pruning needs of plants, trees, and flowers so that we can keep them healthy throughout the year. Our seasonal maintenance can also include landscape plantings or other alterations as you decide to change up your yard. You’ll never need to worry about raking leaves or planting your annuals again! If you no longer have the time or ability to take care of your landscaping and hardscaping, Carroll Landscaping can provide regular maintenance services to keep your yard looking beautiful. Thanks to our wealth of experience, we can take care of a wide variety of plants, trees, flowers, and hardscaping features. Whether you need your flowerbeds to stay in top shape or struggle to control weed growth, our skilled maintenance staff will restore your yard to top form to maximize your enjoyment and curb appeal. 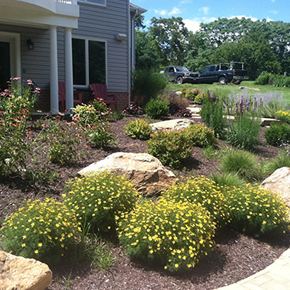 Carroll Landscaping has over 30 years of experience with landscape design, landscape maintenance, and landscape plantings. Our award-winning landscape designers are passionate about providing customers with top-notch service and landscape design. Our landscape designers have a creative design outlook and work as a team with our installation crews to make your vision a reality. We are committed to providing every customer with the highest quality workmanship, professional and knowledgeable service, and creativity in design in order to surpass our clients’ expectations in every aspect of the project.